Painting by Henry Ulke, 1875. 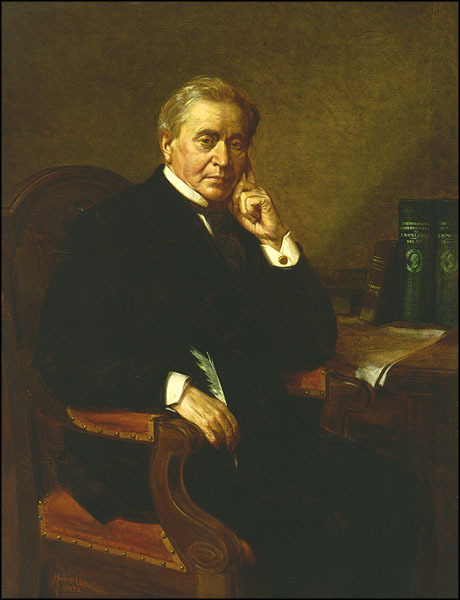 Joseph Henry (1797-1878), was the most revered American scientist of his times and the first Secretary (director) of the Smithsonian Institution. His pioneering work in electricity and magnetism helped bring about the invention of the telegraph, the electric motor, and the telephone. At the Smithsonian Institution he created the outlines of the unique research and cultural institution that we know today. Click here for more Henry quotes. For questions about the content of the Web site or for permission to use images on the site, please e-mail SIHistory@si.edu or call 202-633-5910.